Fast Internet connectivity means a lot of benefits. Fast Internet connectivity means a lot of benefits. But there is a reverse side of it. Sleep disturbances are due to this. Good sleep time limit decreases. According to a recent report, the information was released in the latest PTI report. The research paper has been published in the Journal of Economic Behavior and Organization. Researchers at the University of Bocconi, Italy and the University of Petersburg of the United States of America studied the effect of fast internet. Researchers say that people under the Digital Subscriber Line (DSL) connection are sleeping at least 25 minutes less than those outside. DSL is a technology that provides high bandwidth internet access to home and small businesses. Researchers say that due to the fast internet, sleepiness is not asleep or less during sleep. Due to job chances for work or family needs in the morning, it is time to suffer from shortage of time. Boccuni University researcher Francesco Bellary said, "Usually, the scientists advised to sleep for seven to nine hours, but people with high speed Internet access were less sleeping than them and they were dissatisfied with their sleep. They use electronic devices more in the evening, in the morning it is very rare. 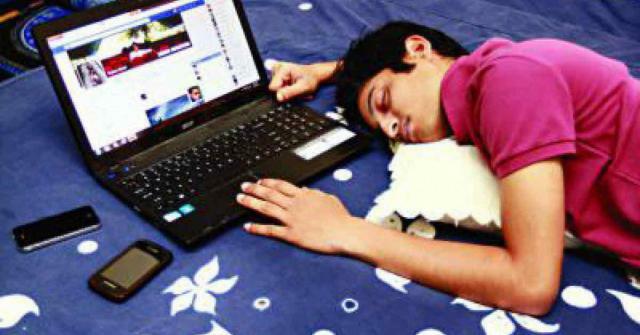 Researcher Billi said that many people went to sleep late in the trap of digital temptation. But in the morning it can not be able to recover more than sleeping. Many of these sleeping time are decreasing. Playing games on the computer, watching TV or watching a video, many people sleep twelve. Among the victims, there are more than 13 to 30 years of age.